Beautiful permanent makeup should go undetected and be as subtle as possible. We take into account thickness, arch, length and the color/pigment that will be used while analyzing your bone structure. Every detail will determine perfect shape and design for your unique face. At Skin Perfect, we require a consultation prior to any procedure unless you are already a Skin Perfect permanent makeup client. For your safety, expectations and happiness, we have found this to be the best practice. During the consultation, we discuss shape, technique and color that would be best for your unique coloring and face shape. We also detail the steps in the procedure, including prepping prior and how to care for your new permanent makeup post procedure. Whenever we think of roses, we always think of Valentine’s Day. The nostalgia of Valentine’s Day starts as far back as grade school, when we made valentines for friends, teachers, and, of course, our crushes. The classic roses are always what we think of when coming up with a Valentine’s Day gift, but maybe using this classic in a different creative gift idea just might surprise your special someone! Rose Glow – A highlighter with a flattering hint of pink to illuminate cheekbones and eyelids is a universal gift for all skin tones. And let’s face it, women never have enough makeup! Rose Tie, Rose Pink Golf Shirt, Rose Dress Shirt? – Men love to be thought of on this special day, and using the chosen V-Day’s color may warm his heart. Rose Face Mist – Rose extract is hydrating and can be exactly what our skin needs after a night sleep when we are losing water. A rose water spritz may be exactly what your special someone needs to wake their skin up in a beautiful and loving way. Rose Fragrance for Him – Rose is a note that we typically reserved for old ladies and maidens. 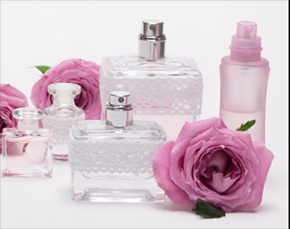 Believe it or not, there are many rose-infused fragrances for men. Often, male fragrances combine the rose accord with a woody base acting as an anchor. I am so excited to get started on a new skin care adventure with Skin Perfect! I’d lost faith in the products I had been using and as a new member of the 40 and over club, I’d pretty much resigned myself to the fact that acne and dull skin were my destiny. I arrived at Skin Perfect to meet Ashlee on a Saturday afternoon. I completed a more extensive than normal questionnaire for a spa and I was off to start the skin evaluation. Ashlee cleansed my skin and removed the minisc ule amount of make up I managed to throw on between my workout, shower and race out the door. We then went back up to the front of the spa for “pictures.” Although I was unprepared, this is where the amazing begins at Skin Perfect. I set my face inside a small white box, right next to a few very powerful appearing light bulbs. She told me to close my eyes and hold still until I saw the flash that looked like a bulb burning out. It was quick and painless, but what followed, not so much. Before I knew it, I was examining two photos of myself, both of which revealed the not so pleasant truth about my skin. Starting with the good news, the collagen and elastin in my face is at a good level. That means fewer lines and wrinkles. There was less bacteria then I expected, considering the regularity of my breakouts. Next, we looked at the red areas that started at the bridge of my nose and finished at the bottom of my chin. She told me that is inflammation and was the result of the products I’d been using. Finally, we looked at the brown spots that littered my t-zone. Undeniably sun damage. It was not as bad as I was expecting, but still very unsettling to see. The most interesting thing the photos revealed was that my skin is completely dehydrated. Ashlee saw this almost immediately. Dehydrated and breaking out? And 40? Yep. We proceeded back to the treatment room to get started. Step one was dermaplane. If you’ve never had it, text me and I will send you Ashlee’s number. Although it might sound a bit daunting to have an esthetician run a scalpel across your face, it is completely worth it. When she was done, my skin was softer and smoother than it was on the day I was born. If you are a skin care junkie like me, you’ve tried every product on the market in attempts to find that perfectly exfoliated face. It is a delicate balance between soft and smooth and turning into a roma tomato. Dermaplane is, by far, the most amazing exfoliation out there. Ashlee removed the top layer of skin cells, which disproved part of my self diagnosed skin destiny: glowing skin…on my face. Extractions were next. If you, like me, are 40+ and breakout on a regular basis, you feel my pain. The moment I walked though the doors of Hastings Middle School, my skin started breaking out. And it hasn’t taken a break since. My sixty something mother frequently tries to “make me feel better,” by telling me she still breaks out from time to time (misery loves company, right?) and by reassuring me oily skin means fewer wrinkles (so we can budget less for Botox). Before Ashlee got started, we discussed milia. Those pesky white spots that appear to be a breakout, but are really a collection of yuck under your skin. If you’ve ever tried to remove them yourself you know, its not easy and it doesn’t ever end well. I have quite a few. After two tough extractions by the professional, we decide to wait and see if the others take care of themselves with the combo of dermaplane and new products. The final step is a quick pumpkin enzyme peel that tingled in a great way and did not cause a house fire on my face! From there, Ashlee took me to the front of the spa where she pulled and explained my new skin care regime (new products!) and sat me down for a quick off with mineral makeup done by the cosmetic manager. Who wants the rest of the world to know they just had a facial? I don’t. And neither does Skin Perfect. So the dust off is included with every treatment. As soon as the dust off was complete, I was off. I’m Jan Rodenfels, I’m a health coach and the author of Amazing in the Second Half. I just had my first treatment at Skin Perfect. I had some reservations about trying it as my skin is very sensitive and I wasn’t sure how it would react. I had a client to go to immediately after my treatment. I was worried that I would be red and he would know I had had “something done”! I am 56 years old and I want to take care of my skin but I don’t want anything too invasive. I met with Ashley in Skin Perfect’s beautiful Polaris spa. First, Ashley did a Skin Evaluation to analyze my skin, explaining that she will decide how to treat my skin based on this analysis. I thought this was very interesting. I had thought I didn’t have much collagen left, but she assured me that I did still have some. Then, she took me to a treatment room and I passed by their estheticians who ALL have amazing skin. This gave me hope that my skin would improve! After climbing in the most wonderful cocoon-like bed that was heated and covered up with a sheet and a soft blanket, Ashley went to work on me. She did something called dermaplaning that gently removes dead skin cells. Then she numbed my skin with a lidocaine cream and after I was numb began the collagen induction therapy. I braced myself for pain, accepting the necessary evil to have beautiful skin. It really didn’t hurt! The little bit of discomfort was on my forehead. I decided the bed was so comfortable and warm that she could do whatever she wanted!! Each pass, Ashley put a serum on my face that will help plump up my skin and build collagen. Next was the light therapy treatment. Light therapy uses pulses of heat and light to even skin tone, reduce wrinkles and even soothe rosacea! I really liked the idea of this treatment because I have a lot of redness to my skin. I was given small goggles to wear. It was warm on my skin but very tolerable. The last treatment in my series was the microcurrent facelift. It is very relaxing and I literally fell asleep for a moment while I was having it. It’s really a workout for your facial muscles, but you don’t have to do any of the work!! I really enjoyed my first treatment at Skin Perfect and I can’t wait to see the results in a few weeks. I’m so excited to finally do something for my skin, something just for me!! On the drive to my client, I couldn’t stop touching my face. It felt so smooth and although a tiny bit pink, my client didn’t notice a thing! I’ll keep you posted on my progress. How many times have you been told “never wear makeup to bed.” Every night you wash your face to only wake up and apply the same makeup on. The only way you can avoid breakouts and unhealthy skin is to wash your face every night, for a makeup free face. After countless amounts of applying and reapplying, I’m sure you have found yourself wishing to wake up with a face full of smudge free makeup. Now there is something called, Permanent Makeup, which we offer at our Skin Perfect locations. Permanent makeup is a process of cosmetic tattooing, it adds pigmentation to the skin to create the look of makeup. We offer lip, brow, and eyeliner at our locations. This procedure has become very popular for all women. It helps you have a quicker beauty routine every morning and will help you get a few more minutes of sleep. 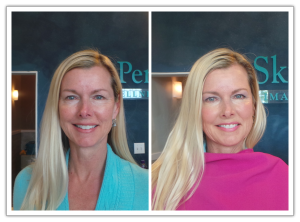 Many of you know Jaclyn Peresetsky, she is the owner, esthetician, and permanent makeup expert here at Skin Perfect. With her advanced training in color theory, her artistic background creates natural-looking results. 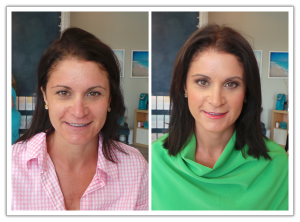 “Having the proper color choice and a soft application are the keys to beautiful permanent makeup,” says Jaclyn. During the procedure, one of our estheticians like Jaclyn or Susana will first numb the targeted area. Then, using a digitalized designed for facial tattooing, she will apply the makeup color using delicate strokes like a painter. The procedure is quick, lasting around 45 minutes. The results of these procedures will last for several years, but natural fading does occur over time. We recommend you coming in overtime to have a touch up done. The waterproof and smudge-proof permanent makeup saves time and money that is normally spent on morning beauty routines and reapplication throughout the day. Your eyebrows will be perfectly shaped, lipstick won’t rub off, and your eyeliner won’t need reapplied every time laughter brings tears to your eyes. Permanent makeup also helps men and women who have thinning or uneven eyebrows, receive the brow shape they have always wanted. Women who suffer from hand tremors, arthritis, poor eyesight, and other conditions that make it hard to apply makeup, finally get the makeup they want. “We want men and women to look great, feel confident, and have the defined features they desire, without anyone knowing they had permanent makeup done,” says Jaclyn. Facial fitness routines or otherwise known as Microcurrent, will lift sagging facial muscles and stimulate circulation to instantly give our skin a more tightened and glowing skin. Don’t go to bed with makeup on. Makeup left on overnight seeps into your pores, clogs them, and congests your skin. Make sure that you wash your face twice at the end of the day. Once to get the makeup off and second to wash the skin itself from traces of lef tover dirt. Exfoliate daily. After washing your face at night, be sure to exfoliate. Use a delicate scrub or toner designed specifically for your skin type. Use facial masks regularly. If possible, every day is idea. Make sure the facial mask is something that one of our estheticians would recommend for your skin type and concerns. Keep a treatment and moisturizer on your face, day or night. Put your skin first. After you wash it at night, put on some kind of skin treatment. Hydrate your face throughout the day. Mineral makeup is the best makeup to choose. Use our Setting Spray after you apply your makeup. This will not only revive your makeup, but revive your dehydrated complexion. Treat your face gently. Never pull, tug, or scrub your facial skin. Be very gentle when you clean it, moisturize it or makeup on it. This will lessen the chance that you’ll damage your skin and get wrinkles. Keep your face covered when you’re in the sun. 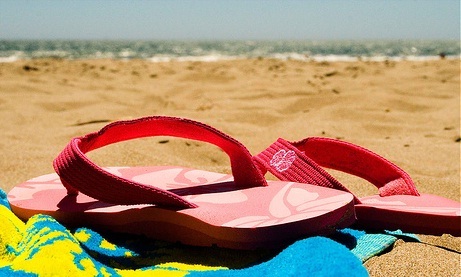 Make sure to lather on sunscreen with a SPF of at least 15, put on sunglasses, and wear a brimmed hat. Eat fresh foods and drink lots of water. You should stay away from “dead food” food that basically is not fresh. Try to always eat lots of veggies, fruits, nuts, and drink tons of water. Let go of stress. Stress can show up on your face, no matter how well you take care of your skin. Do something you enjoy every day, whether that’s watching TV or going shopping. Your face reflects what’s going on inside of your mind. How to Avoid Eye Makeup Mistakes! After we cleanse and moisturize our faces in the morning, we normally apply our makeup. However, many times during this process we accidentally smudge our mascara or cause our makeup to look worse when trying to fix a mistake. 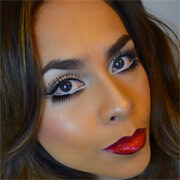 We want to give you some tips to help prevent makeup mistakes and avoid those crazy raccoon eyes! The first thing to take into consideration is the placement of your eye cream. If you find that your mascara or eyeliner smears not long after application, it is normally because your eye cream was placed too close to your eye. The warmth of your eye cavity will pull the cream closer to the eye, and often into your mascara and liner causing them to smear. The best place to apply your eye cream is on your orbital bone, or the bone that surrounds the eye sockets. The next and very important step to remember is, do your eye makeup before anything else! Any mistake can be easily wiped away without having to start over with your concealer and foundation. Next, to ensure your eye shadow stays on, always place an eye shadow base on your lids. Without a base, your eye shadow will fade through-out the day requiring multiple applications. After applying your eye shadow, apply your eyeliner and mascara. 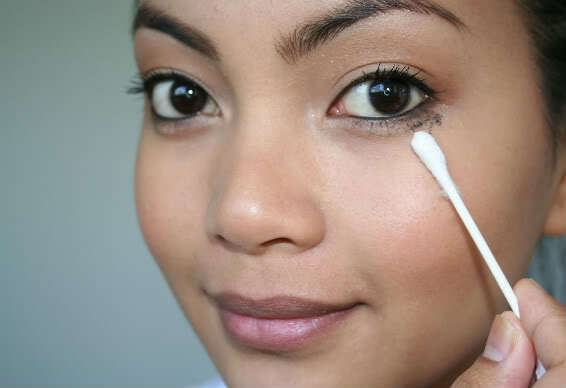 If your mascara gets on your eye shadow, let it dry before removing it with a qtip. If you try to remove the mascara while it is still wet, it will smudge. Set the concealer under your eye with powder by blotting it with a tissue. Before adding powder, you will want to remove any access off of the tissue. Our trick to remove the access powder is to place a cotton ball inside the tissue (making a little ghost!) and blotting it on your hand. This is a great way to avoid putting too much powder around your eyes. We hope these tips help your morning makeup applications go a little easier with less smudging and mistakes! It is incredibly important to stay hydrated, especially during this time of year. With our busy summer schedules, it can be very easy to fall behind on fluid intake. In addition to drinking water, you can eat foods that contribute to your fluid intake. Eating foods that keep you hydrated also help keep you satisfied with fewer calories. Here are some of our favorite foods with water. Summer time is right around the corner which means watermelon is back in season! Watermelon is a rich source of antioxidants like lycopene, Vitamin A and C. These help reduce free radicals which are responsible for signs of aging such as fine lines, wrinkles, and age spots. Not only is this fruit a great antioxidant, it also consists of 93% water which is great during the summer. You can either include this tasteful fruit in your diet or you can apply it to your skin to help keep it hydrated. Along with watermelon another great summer treat is citrus fruit such as oranges, grapefruits, lemons and limes. These fruits are also great when it comes to moisturizing the skin. Diluted lemon juice works great on tough areas like elbows and knees. Dehydration can make your skin look dull, so citrus fruit can refresh your face. 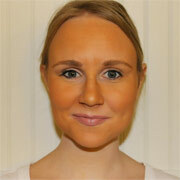 Vitamin C gives skin a more natural radiant look. We suggest throwing some lemons and limes in water while you enjoy your sunny day. While you’re laying out under the hot sun by the pool you need to make sure your skin is protected. Make sure you apply plenty of sun screen with high SPF and also be sure to eat strawberries. They have an antioxidant called ellagic acid which is known to help prevent sun damage that can cause wrinkles. We enjoy eating homemade strawberry ice cream or just eating them plain with a little stevia. 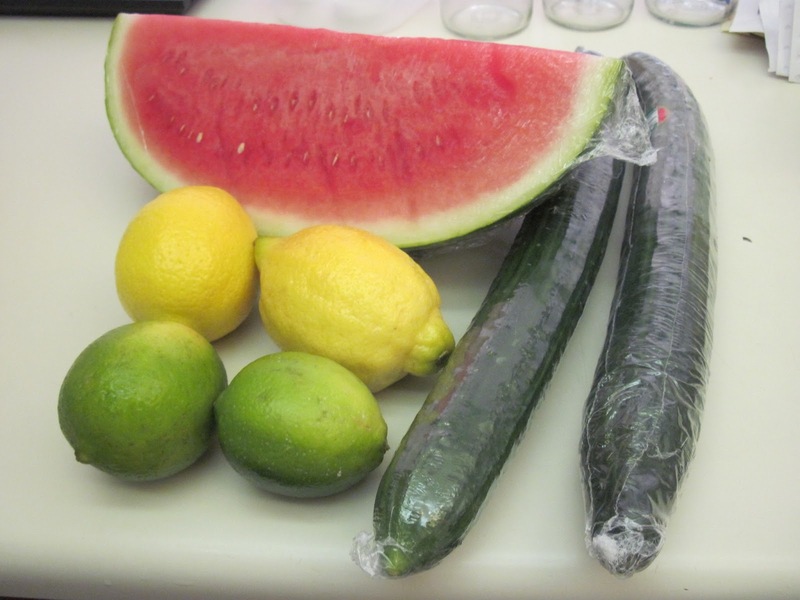 There are so many delicious recipes involving cucumbers, did you know they have 95% water content? By eating a cup of cucumber slices you are nearly drinking a class of water! Cucumbers also provide some fiber and Vitamin C. While you are relaxing outside drinking your cucumber water or eating your cucumber salad, try placing a slice over your eyes to help reduce your dark circles.